The Linea Double Dresser by Zuo pays homage to true Scandinavian design. 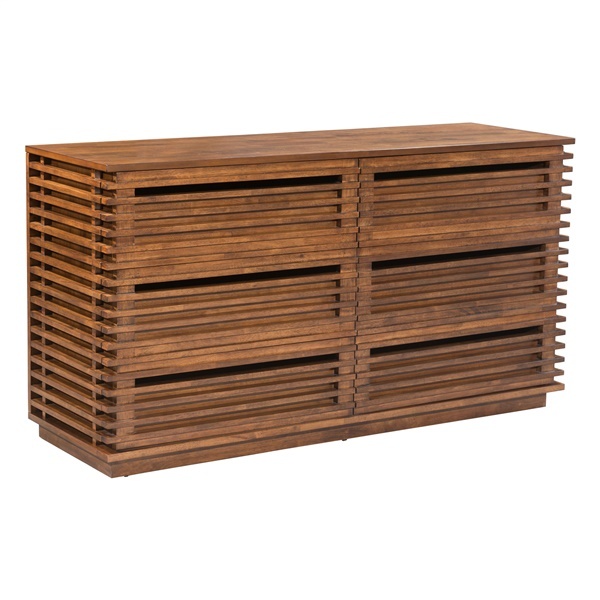 Constructed of supreme rubberwood, engineered wood and walnut veneer, its six drawer design offers ample storage and style. Linear slats add clean lines and can be paired with other items from the Linea collection.